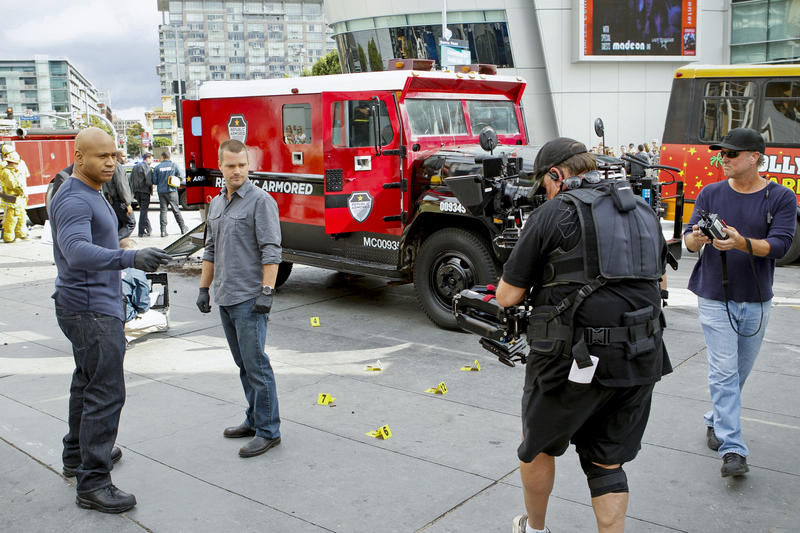 Pictured behind the scenes (L-R): LL COOL J (Special Agent Sam Hanna) and Chris O'Donnell (Special Agent G. Callen).The NCIS: Los Angeles team investigates the strange and brazen heist executed by gunmen in costumes that could directly impact the U.S. economy. Meanwhile, as Deeks testifies on a case, Granger insists on partnering up with a very reluctant Kensi. Photo: Robert Voets/CBS ©2012 CBS Broadcasting, Inc. All Rights Reserved.